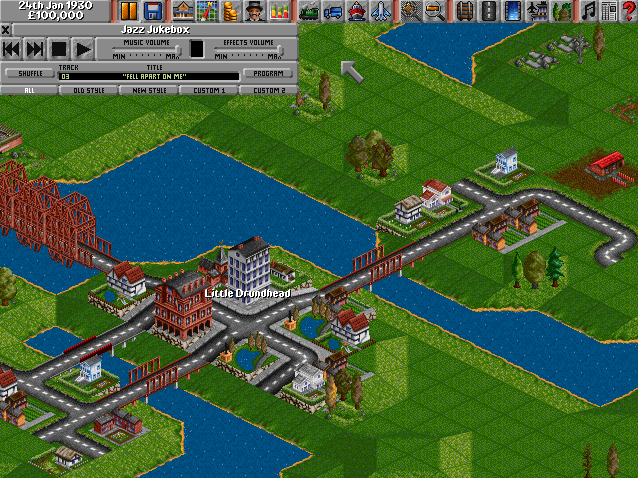 We now move on to some of the more contemporary jazzy tracks on the Transport Tycoon soundtrack. Here we have the funky "Fell Apart on Me" with lots of soulful sax (well at least the remake of this track features a lot of sax not to mention some wailing guitar to boot). In general, I prefer the more modern jazz pieces in the Transport Tycoon soundtrack which is why the extra tracks added to the Transport Tycoon Deluxe soundtrack were most welcome. Anyway, enjoy your daily dose of jazz.